This article is unfinished and is building on the Skeptic´s Dictionary entry on Morphic Resonance. It seems like especially biologists have a longing after being philosophers instead of the philosophers. Today there is more authority given to a biologist speaking about philosophical questions than a philosopher, though the presented most often is a hodgepodge of reductionistic fantasies about stuff philosophers have clarified much better for ages. This is then presented, not only as science, but as a “paradigm shift” in science. Iznogoud (pronounced "he's/is no good" with a French accent) is a French comics series featuring an eponymous character, created by the comics writer René Goscinny and comics artist Jean Tabary. After the death of Goscinny in 1977 Tabary continued with writing the character. The comic series chronicles the life of Iznogoud, the Grand Vizier and second in command of Baghdad, at an undefined period in the past. His greatest desire is to replace the Caliph or Sultan of Baghdad Haroun El Plassid, leading him to repeatedly utter the phrase, "I want to be Caliph instead of the Caliph", a phrase that has been adopted in the French language to indicate overly ambitious people. Iznogoud is supported by his faithful servant, Wa'at Alahf. Like Steven Hawking and Fritjof Capra, Rupert Sheldrake is an example of, that high education in a certain scientific discipline doesn't give him qualification in other disciplines; in this case philosophy [it seems like Fritjof Capra is the originator of the worldview of Rupert Sheldrake and modern New Age pseudoscience – I have written about Capra in my article Quantum Mysticism and its Web of Lies]. Morphic resonance is a term coined by Rupert Sheldrake in his 1981 book A New Science of Life. He uses the expression to refer to what he thinks is "the basis of memory in nature....the idea of mysterious telepathy-type interconnections between organisms and of collective memories within species." Among his early influences Sheldrake cites The Structure of Scientific Revolutions by Thomas Kuhn (who is a philosopher of science). Sheldrake says that the book led him to view contemporary scientific understanding of life as simply a paradigm, which he called "the mechanistic theory of life". Reading Kuhn's work, Sheldrake says, focused his mind on how scientific paradigms can change. Sheldrake says that although there are similarities between morphic resonance and Hinduism's akashic records, he first conceived of the idea while at Cambridge, before his travel to India where he later developed it. He attributes the origin of his morphic resonance idea to two influences: his studies of the holistic tradition in biology, and French philosopher Henri Bergson's book Matter and Memory. He says that he took Bergson's concept of memories not being materially embedded in the brain and generalised it to morphic resonance, where memories are not only immaterial but also under the influence of the collective past memories of similar organisms. While his colleagues at Cambridge were not receptive to the idea, Sheldrake found the opposite to be true in India. He recounts his Indian colleagues saying, "There's nothing new in this, it was all known millennia ago to the ancient rishis." Sheldrake thus characterises morphic resonance as a convergence between Western and Eastern thought, yet found by himself first in Western philosophy [sic]. Sheldrake has also noted similarities between morphic resonance and Carl Jung's collective unconscious, with regard to collective memories being shared across individuals and the coalescing of particular behaviours through repetition, described by Jung as archetypes. However, whereas Jung assumed that archetypal forms were transmitted through physical inheritance, Sheldrake attributes collective memories to morphic resonance, and rejects any explanation of them involving what he terms "mechanistic biology". Lewis Wolpert, one of Sheldrake's critics, has described morphic resonance as being an updated Drieschian vitalism. Sheldrake has been trained in 20th century scientific models--he has a Ph.D. in biochemistry from Cambridge University (1967. Sheldrake prefers teleological to mechanistic models of reality (just like Fritjof Capra). His main interests are in the paranormal. One of his books is entitled Dogs That Know When Their Owners Are Coming Home: And Other Unexplained Powers of Animals. One of his studies is on whether people can tell when someone is staring at them. (He says they can; others have been unable to duplicate his results.) Another tests the telepathic powers of a parrot. He prefers a romantic vision of the past to the bleak picture of a world run by technocrats who want to control nature and destroy much of the environment in the process. In short, he prefers metaphysics (a philosophical discipline) to science, though he seems to think he can do the former but call it the latter. Perhaps it would be fairer to say that he sees no borderline between science and metaphysics. 'Morphic resonance' (MR) is put forth as if it were an empirical term, but it is no more empirical than L. Ron Hubbard's 'engram', the alleged source of all mental and physical illness. The term is more on par with the Stoic's notion of the logos, Bergson's notion of the élan vital, or Plato's notion of the eidos than it is with any scientific notion of the laws of nature. But still he doesn´t see himself as doing philosophy, and not science. What the rest of the scientific world terms lawfulness--the tendency of things to follow patterns we call laws of nature--Sheldrake calls morphic resonance. He describes it as a kind of memory in things determined not by their inherent natures, but by repetition. He also describes MR as something which is transmitted via "morphogenetic fields." This gives him a conceptual framework wherein information is transmitted mysteriously and miraculously through any amount of space and time without loss of energy, and presumably without loss or change of content through something like mutation in DNA replication. Thus, room is made for psychical as well as physical transmission of information. Thus, it is not at all necessary for us to assume that the physical characteristics of organisms are contained inside the genes, which may in fact be analogous to transistors tuned in to the proper frequencies for translating invisible information into visible form. Thus, morphogenetic fields are located invisibly in and around organisms, and may account for such hitherto unexplainable phenomena as the regeneration of severed limbs by worms and salamanders, phantom limbs, the holographic properties of memory, telepathy, and the increasing ease with which new skills are learned as greater quantities of a population acquire them. While this metaphysical proposition does seem to make room for telepathy, it does so at the expense of ignoring Occam's razor. Telepathy and such things as phantom limbs, for example, can be explained without adding the metaphysical baggage of morphic resonance. So can memory, which does not require a holographic paradigm, by the way. The notion that new skills are learned with increasing ease as greater quantities of a population acquire them, known as the hundredth monkey phenomenon, is bogus. 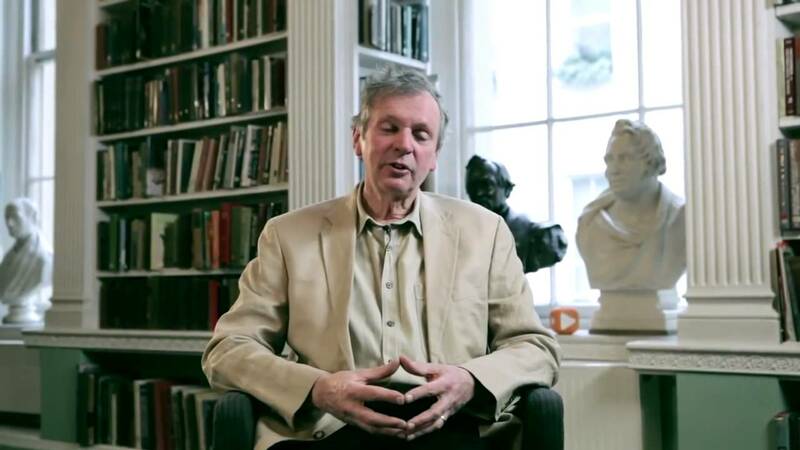 Rupert Sheldrake has apparently read Carrol´s entry, and Carroll has published his reply to him: Click here. Everything Rupert Sheldrake is saying is repeated in New Age as revolutionary new scientific facts. Not surprisingly, since pseudoscience in New Age is considered alternative sciences for the openminded and examples of the coming paradigm shift. Sheldrake has directly been described as a New Age author and is popular among many in the New Age movement who view him as lending scientific credibility to their beliefs, though Sheldrake does not necessarily endorse certain New Age interpretations of his ideas. Psychic Sylvia Browne, while channelling her spirit guide "Francine", said that morphic resonance carries emotional trauma and physical ailments from past lives which may be released through affirmations. In the 2011 "Miracle Day" season of Doctor Who spin off Torchwood, morphic resonance is given as the reason that all humans have suddenly become immortal. The morphogenetic field plays a large role in the Nintendo DS game Nine Hours, Nine Persons, Nine Doors. Experiments in the game's back story involve putting pairs of siblings under extreme circumstances and trying to get them to telepathically send puzzle answers to each other in order to survive. So, Sheldrake is famous in popular culture. Sheldrake is very quick in drawing the reductionist card towards skeptics. He is doing this everytime someone is critical (so did Fritjof Capra). But he obviously doesn´t know what reductionism is, since he is doing reductionism himself. Especially this is due to his lack of competence in philosophy of science. This is an important issue. I am in no way trying to criticize people´s free thoughts. I myself is practicing this. If Sheldrake was forwarding his work as philosophy, I wouldn´t have criticized it. What I´m criticizing is that he is forwarding his work as science, and therefore is trying to establish a truth by authority which seeks to remove the responsibility for philosophical argumentation. The reductionisms observe Man from fragmented viewpoints, for example as organism, as physical-chemical system, as society being, as psyche, as producer and user of language and meaning. But what becomes of the wholeness? What unites all this knowledge to a total image of Man? The reductionisms´ explanations of this always end up as philosophical shipwrecks. Reductionisms are philosophical viewpoints, which under cover of being science seek to answer the question of Man, or reality as such. But no single branch of science gives anything else than a limited perspective on Man or reality. If the reductionisms should be taken seriously, then they shall contain a unifying perspective on all knowledge about Man. What can be a serious problem in the future, is that a new kind of pseudoscience is trying to unite New Age pseudoscience with some of the pseudoscience of reductionism. The first version for example claims that Man fully can be described and explained with the methods of natural science. This happens in various forms of Naturalism, Positivism and Behaviourism. The second version claims, that psychology, sociology or history can give the total and superior understanding of, what a human being is. These viewpoints are described respectively as Psychologism, Sociologism and Historism. It is particular this version which openly claims to be a supporter of anti-science, and accuses the other part of being reductionistic, wherefore it demands so-called alternative sciences (read more about this in the Matrix Dictionary in the entries: Anti-intellectualism and Anti-science and Bridge between Science and Spirituality). As other New Age biologists, Sheldrake supports a kind of “spiritual” sociobiology. His concept of MR isn´t the slightest different than Richard Dawkins´s notion of the meme (see the Matrix Dictionary entry on Richard Dawkins) – or rather: in scientific respect it is utterly nonsense. ”... Sheldrake's book is a splendid illustration of the widespread public misconception of what science is about. In reality, Sheldrake's argument is in no sense a scientific argument but is an exercise in pseudo-science ... Many readers will be left with the impression that Sheldrake has succeeded in finding a place for magic within scientific discussion – and this, indeed, may have been a part of the objective of writing such a book”. In short, although Sheldrake commands some respect as a scientist because of his education and degree, he has clearly abandoned conventional science in favor of magical thinking [that is: bad philosophy (Iznogood)]. This is his right, of course. However, his continued pose as a scientist on the frontier of discovery is unwarranted. He is one of a growing horde of "alternative" scientists [the scientists of the Matrix Conspiracy] whose resentment at the spiritual nature of modern scientific paradigms, as well as the obviously harmful and seemingly indifferent applications of modern science, have led them to seek their own paradigms in ancient and long-abandoned concepts. These paradigms are not new, though the terminology is. These alternative paradigms allow for angels, telepathy, psychic dogs and parrots, alternative realities, and hope for a future world where we all live in harmony and love, surrounded by blissful neighbors who never heard of biological warfare, nuclear bombs, or genetically engineered corn on the cob. It can sound confusing when I speak about New Age as part of the anti-science movement, since New Age seems obsessed with science, and call everything they think and do, for science. But that is, as mentioned, because they demand so-called “alternative sciences” which breaks with traditional science. Therefore they are also obsessed with the concept of paradigm shifts. My memories about what we thought at the time of discovery (with respect to the classic code we developed – that is, the years 1973 through 1978) are that we were quite explicit that we were out to overthrow a paradigm and that, for example, I, for one, found it very useful to plan this campaign using in part as a guide the excellent work of Thomas Kuhn (The Structure of Scientific Revolutions) in which he detailed some of the conditions in the midst of paradigm shifts. For example, I believe it was very useful that neither one of us were qualified in the field we first went after – psychology and in particular, it´s therapeutic application; this being one of the conditions which Kuhn identified in his historical study of paradigm shifts. Who knows what Bandler was thinking? One can only hope that Bandler wasn´t thinking the same things that Grinder was thinking, at least with respect to Kuhn´s classic text. This is, in a nutshell, precisely the same mistake Rupert Sheldrake is doing. So, the “bridge” in New Age is built of sand, namely pseudoscience grounded in anti-intellectualism and anti-science. But could you in fact talk about such a bridge? Yes, and that is philosophy. I have tried to point that out several times, with minimal success. What is wrong with Sheldrake´s “philosophy”? Besides the obvious distortion of science and philosophy in popular culture, then we know from history that the mix of biology and romantic religious mysticism based on subjectivism and feelings, is an explosive cocktail. The tendency is towards Fascism. And that is precisely what is happening (see the Matrix Dictionary entry on The Matrix Conspiracy Fascism).